Picture having a midsize pickup truck that can handle all of your driving needs and can be used on a regular basis. At Lipton Toyota in Ft. Lauderdale, FL we have the perfect midsize pickup truck for drivers to use every day – the 2016 Toyota Tacoma. Lipton Toyota has served Deerfield Beach, Hollywood, and Weston, FL for a number of years with a large collection of new Toyotas. Come by our dealership at 1700 W Oakland Park Blvd. and test drive the new Tacoma today. The midsize pickup truck is one of the most competitive markets on the road today, so let’s see how the 2016 Toyota Tacoma stacks up against the Nissan Frontier. As midsize pickup trucks, both vehicles have two powerful engines for drivers to explore. 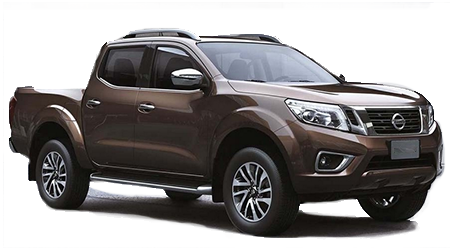 The entry-level Frontier is equipped with a 2.5L inline-four that makes 152 hp and 171 lb-ft of torque. The base Tacoma features a 2.7L inline-four that produces 159 hp and 180 lb-ft of torque. 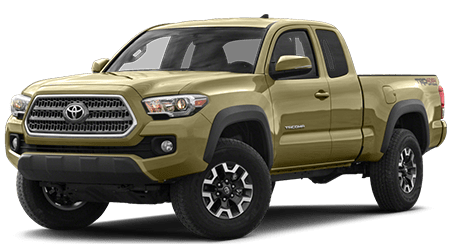 The Tacoma’s engine is more powerful than the Frontier’s and can return better fuel economy at well at 21/25 mpg (city/hwy). When using a vehicle on a regular basis, the last thing you want to worry about is how many miles your vehicle is racking up. To give you the peace of mind to drive the vehicle, Toyota packed the Tacoma with an extended warranty. Both midsize pickup trucks have a 5-yr./60,000-mile drivetrain warranty, as well as a 3-yr./36,000-mile basic warranty. The Tacoma adds 2-yr./25,000-miles of free maintenance, which is not included on the Frontier. The 2016 Toyota Tacoma is one of the best midsize pickup trucks on the market today. With the Tacoma’s more powerful base engine and modern interior, the Tacoma has the edge over the Nissan Frontier. Stop by Lipton Toyota in Ft. Lauderdale, FL at 1700 W Oakland Park Blvd. and discover the new Tacoma today.